Hordijk, A, & Tijms, H.C. (1974). 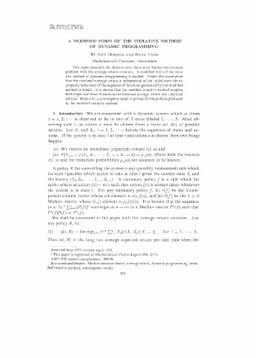 A modified form of the iterative method of dynamic programming. The annals of statistics, 3(1), 203–208.